I haven't posted any reviews for a few days so how about a double-feature? Cast: John Wayne, Pedro Armendariz, Harry Carey Jr., Ward Bond, Mae Marsh, Jane Darwell, Ben Johnson, Mildred Natwick. This was a popular story...it was told at least four times. This version is probably the most popular because it starred John Wayne, was directed by the great John Ford and was the most recent. It deals with three badmen who bungle a bank job in Arizona with one of them being shot in the shoulder during the getaway...but get away they do. While in the desert, they take refuge during a sandstorm, but their horses get lose and are gone the next morning. They soon find a wagon which contains a woman about to give birth. She is in a bad way, however, and soon passes on but not before she names the three men her baby's godfathers. 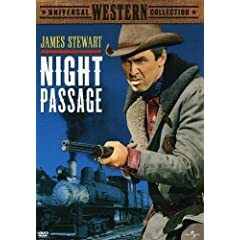 The remainder of the movie deals with their trying to care for the infant and get it to civilization while a lawman and his posse are on their trail. The movie is dedicated to the late Harry Carey, an old-time western star of his own (Ford used him several times, including a couple movies with Wayne), who had passed away before the film's release. This movie also marks the film debut of his son, Harry Carey Jr. This film has lots of humor as well as action and it contains some incredible color photography. It's not the best-known John Wayne film out there so people should look it up. It was included as one of the movies in the DVD box set The John Wayne-John Ford Movie Collection. It looks great, though its only extra is the original movie trailer. This is a full frame picture because this was originally released in 1948, back in the pre-widescreen era. The accordian actually played a plot point in this movie. It involves Jimmy who, having once worked for the railroad, being offered a job again. An outlaw band has been robbing the train of its payroll for those who are laying the track. It turns out that one of the gang is The Utica Kid (Audie Murphy) who happens to be Stewart's brother. It culminates in a big climactic gunfight. And this is one of the few gunfights I can remember where we actually see the hero reloading. In some movies, you'd swear a pistol might hold 20 bullets. Brandon De Wilde is in this movie...he was the kid in the classic Shane. Other notable supporting polayers include Jack Elam and Paul Fix. As with 3 Godfathers, the only extra here is the movie trailer. The film is presented in it's original widescreen aspect ratio of 2.35: 1. We have a nice color print and a fine music score by Dimitri Tiomkin. When I think of swashbucklers, Errol Flynn's "Adventures of Robin Hood" is the first one that comes to mind but this is right up there with it. Interestingly, Basil Rathbone plays the bad guy in both. That's not really a surprise as Rathbone was a first-rate swordsman of his own. This is the first good version of Zorro of the sound era (Douglas Fairbanks had played him in the silents) with Tyrone Power coming home from Spain to discover his countrymen being taxed to death. Thus, he takes up the mantle of Zorro to set things right. This is more swashbuckler than western but I'm still including it as part of my western marathon since it does take place in the Old West and there are horses...but the weaponry of choice is more swordplay than gunplay. It's a fine film and deservedly considered a classic. This is a 2-sided disc...one side features a colorized version of the film while the other side is the proper black & white version which, I believe, is a restored version that looks excellent. Film critic Richard Shickel provides a commentary and they also include the episode of A&E's "Biography" TV series that profiled star Tyrone Power. Another bonus is this DVD came with a set of photos (5x7, I think) from the movie done in a sepia-tone. This is probably one of my favorite westerns that's not currently available on DVD...I had to watch it on AMC. And they took this trim 89-minute western and fed it commercials until it clocked in at a bloated two hours. When it is running, it moves very quickly and is fun to watch. Kirk Douglas plays a drifter who helps a young cowhand (to the point where the youngster starts hero worshiping him) and they wind up working on a ranch which winds up having a new female owner. She wants all the range for herself and that starts all kinds of conflict. Though much of the story gets serious with the subject of barbed wire and everything, it does have it's lighter moments such as a couple times when Kirk gets to play the banjo and sing a bit. He doesn't sing the title song, though...they hired Frankie Laine for that. I'll continue to hope for a DVD release but will have to watch the TV listings for the occasional cable airing until then. The only release of this available to me is one of those Hong Kong imports which I don't care for (the quality usually isn't all that sharp). This may be about the only Kirk Douglas western now not available on DVD...but don't quote me on that. This is an early sound western and, like many westerns of the time, it is almost totally devoid of music except for the opening titles and a bit at the end. The credits are unlike I've seen in any movie...they give the title of the music, wrier and director and all that but don't show the cast credits right away. What they do is when each person makes his or her first appearance, then their credit is shown with them...thus, at 28 minutes into the movie when Randolph Scott finally appears, you finally get to see his name on screen. The film is based on a Zane Grey story and deals with two feuding families who come from Kentucky and wind up the same region out west. The Colbys, angered because the father spent 15 years in prison after the Hayden patriarch went to the law instead of the usual feuding alternative, go to work rustling all the Hayden livestock. It's at this point that Lynn (Randolph Scott) comes home and he winds up falling for the daughter of the evil Colby (the daughter played by the fetching Esther Ralston). While the film moves rapidly along (it's only about 70 minutes long), it has the old type western fights with lots of apparently sped-up action which seems even more odd with no accompanying music. Also of note is that this movie features the film debut of Shirley Temple as one of the grandchildren of the Hayden patriarch. It has an overall familiar cast and most, including Scott, do well for this 76 year old film. This was a Paramount film but apparently the movie has fallen into the public domain as there are a lot of copies out there by different companies. My own copy is from VCI Entertainment and it's a pretty decent copy...a nice sharp print with clear sound...but, as is usual with such cases, no extras to speak of. Whenever people start naming the greatest westerns ever made, you don't have to go far down the list to find this movie. It's often placed in the top 5 along with such films as The Searchers, Stagecoach, Red River and The Wild Bunch. I consider The Searchers to probably be the best western of them all but I seem to alternate between that film and this one as to which is actually my personal favorite western. The Searchers is a mighty intense film at times but this one is probably a bit more fun to watch. In the beginning, we see no-good Joe Burdette (Claude Akins) gun down a man in cold blood in a saloon who is promptly arrested by Sheriff John T. Chance (John Wayne). The town is then surrounded by the men his brother Nathan, a rich rancher (played by Lawman's John Russell) hires and who periodically try to get him out. Chance doesn't want any help, one friend who tries (Ward Bond) is killed within an hour of telling everyone he needs help. Chance still gets help from a gimpy old deputy named Stumpy (Walter Brennan), a usually drunken deputy Dude (Dean Martin) and a young gun named Colorado (Ricky Nelson...yes, that Ricky Nelson) who was riding guard for the wagon train that Chance's friend had brought to town. Chance tries to keep Joe in jail and also try to keep an eye on Dude who seems to be about to come apart at any moment. The movie moves along at a good pace despite it's over 2-hour running time. There's humor (especially involving Stumpy), romance (between Chance and a girl named Feathers played by a young Angie Dickinson), and lots of action that ends up with Stumpy chucking sticks of dynamite towards the warehouse the bad guys are in as Chance blasts at them with his Winchester, resulting in a quite-explosive finale. A previous DVD had been issued of this and then a few years ago, in honor of Duke Wayne's 100th birthday, they released a new edition of this (along with some other films). I bought Rio Bravo: The Ultimate Collection...interestingly, I'm not sure that's still available. I looked it up at an online retailer and they didn't have it. They do have a 2-disc special edition and I imagine it's the same discs but you don't get the other extras I was lucky to get...a reproduction of the lobby cards, the movie pressbook and the comic book adaptation. Disc extras include an audio commentary by Richard Schickel, the movie trailer and also trailers for 4 of Duke's early "B" westerns of the 1930s, and featurettes on the film and on director Howard Hawks. He was limpin' when he got here! The interesting thing about Rio Bravo is that producer/director Howard Hawks did a virtual remake of the film 8 years later...a film called El Dorado. The main plot and certain events were so dead-on that no one could believe it was anything else. They did make some changes in that later film, though John Wayne did star in both. In the second film, the younger character was named after a different state (Mississippi) and couldn't hit anything with a gun so they gave him a sawed-off shotgun. He was played by James Caan. And it was the sheriff (Robert Mitchum) who was drunk, not a deputy. The older deputy was playd by Arthur Hunnicutt this time, not Walter Brennan. And to further give the good guys a disadvantage, Wayne's character got a bullet lodged in his back that would occasionally give him temporary paralysis in one side. It's still considered a very good film in it's own right so check it out when you get the chance. Hawks used plot elements from Rio Bravo a third time in Rio Lobo...that film's not so good. So I'd recommend you watch and enjoy both Rio Bravo and El Dorado...and leave it at that. This "Centennial Edition" just came out this summer...for some reason, it has the number "9" on its spine but I'm only aware of one other Centennial Edition film that's come out, The Man Who Shot Liberty Valance. Maybe there will be more? Or maybe there are indeed others in the series I'm not aware of. I was comparing the looks of this DVD with the previous DVD and it looks similar, though the paintings shown during the opening credits seem just a bit darker in this edition. This edition features quite a few extras (the original had only the trailer). 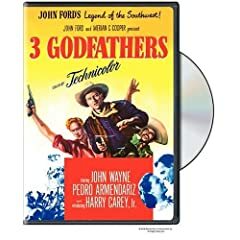 Besides the trailer, this 2-disc set gives you two audio commentaries (one with Peter Bogdanovich and the other with Richard Schickel, Ed Asner and author Todd McCarthy), a 7-part featurette on the movie, a piece on the art of the Old West and an interview with producer A.C. Lyles about John Wayne. 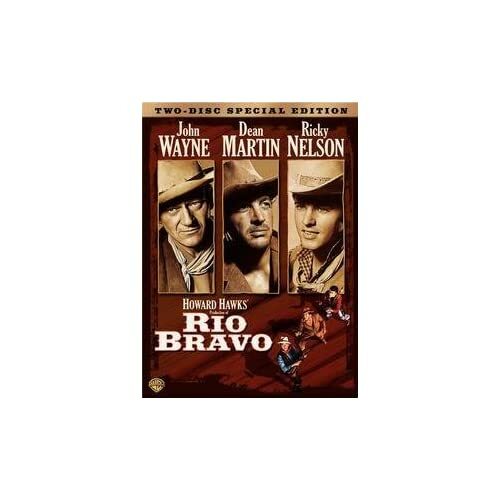 I really enjoyed Rio Bravo a lot. I will have to add El Dorado to my always growing wish list! Okay, Jimmy...sorry about that. I will go to just one film per review from now on. Pete, I still have my older copy of El Dorado and it's yours if you want it. No problem, you aren't the first to do it and certainly not the last. This isn't that evident for a new member to think about the reviews index. That would be great Roger! I would of course be glad to take it off your hands. And of course as I told you before... I will be making you up a care package before too long as well. I'm not sure if I will send you another regular care package...but I do have many movies I wouldn't mind getting rid of. Just in case, I won't say anything more about it so if I do send you more, the others will be a surprise. If I send you something you already have, feel free to pass them along to anyone else you choose. LOL... that is fine Roger... you know anything you send me is much appreciated! 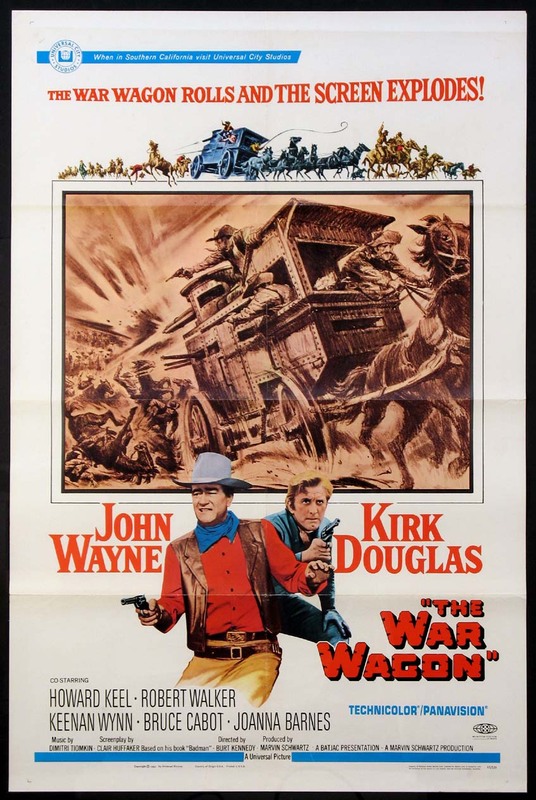 By the late 1960s, John Wayne's movies were started to fall into forumula westerns though one here and there was a bit different and this was one of those. In this film, he's just returning to town after a 3-year stint in prison where he had been framed and the man who framed him has taken over his ranch where he's discovered a gold mother lode. John Wayne, as Taw Jackson, decides the best means of revenge is to his the man where it hurts...by robbing his gold shipment. The war wagon of the title is like an armored car on wheels which they transport the gold in...and it's even dangerous once bad guy Bruce Cabot has a gatling gun mounted on it. The ranch owner wants a gunslinger named Lomax (Kirk Douglas) to eliminate Taw (not realizing his plans) but Taw actually winds up getting Lomax to side with him and his other partners to take down the war wagon. This isn't just another western filled with gunplay and saloon brawls (though there's a bit of that) as we slowly learn Taw's plans on his detailed plan to take on the armored vehicle. There's also lots of familiar faces (including small parts for such actors as Bruce Dern, Gene Evans and Sheb Wooley) and the film is tinged with humor not always seen in westerns. Add good photographer and a sprightly score and you've got a darn good western...not a great one, but a good one. I'm currently on my second copy of this movie...my first was a disc featuring the movie along with one extra, the trailer. Now I have it as part of a 3-disc set called John Wayne: Screen Legend Collection. This set contains 5 films...besides The War Wagon, it also has Reap The Wild Wind, The Spoilers, Hellfighters and Rooster Cogburn.